Petersburg finished decorating in the upcoming World Cup 2018. Total gardeners planted eight million flowers, creating compositions of 70 plant species. Now the city is filled with colors of surfinia, marigolds, cineraria, begonias, kohii, pelargonium, koleus and many other plants. In the design - 300 symbols of the World Championship. All the flower gardens were beaten with elements of the color spectrum of the mundial. Particularly brightly designed Pulkovskoe highway and Moscow Avenue. They landed about 150 thousand flowers. And along the Duderhof Canal, the largest floral tricolor with balls was created. It stretches almost 200 square meters. 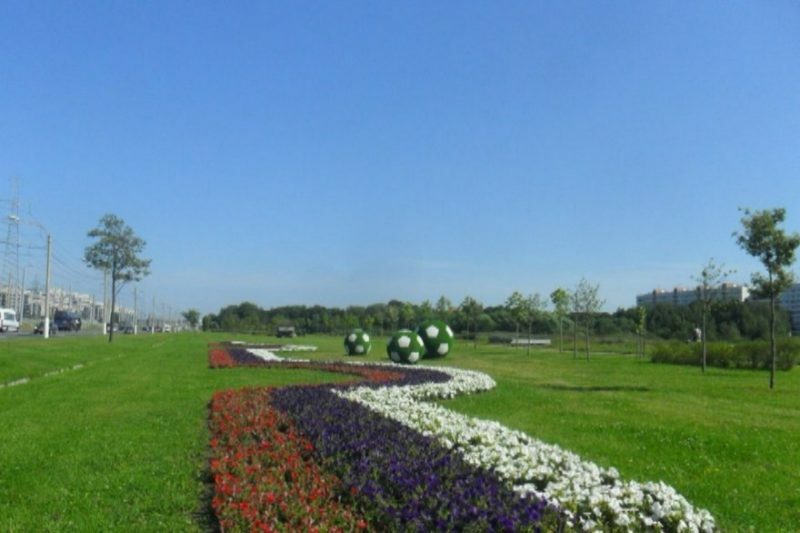 The authorities promised that all the flowers will remain to decorate the city - they will not be cleaned after the championship.